https://i.servimg.com/u/f62/14/92/77/58/codwaw10.jpg //// the piece of paper with text! Now, as everyone knows, there are noticeboards scattered across Der Riese. These boards have pics on, and we know 2 of the pics are in Paris. There are others though. 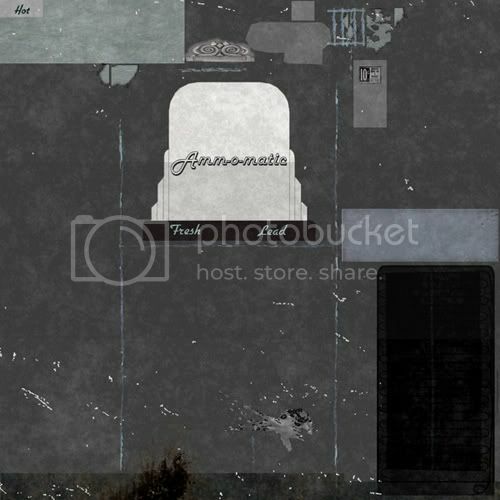 One of them seems to be a lighthouse with 2 figures below it, and also there is a theater. Now, im hoping we could get some real zombie pros here to try and link the lighthouse and the theater to Der Riese. Give it a go if you think you know. What is this strange light pattern??? And this strange little light on the wall in Dr Maxi's office! here we can translate pictures and notes! Ok so as you can see down below, just to the south west of the zombie's left leg (the west leg), you will see the name of a new docter (cant make out the name) and a lot of German writing to the left of his head! Sorry if this was posted before. Whiteboards in animal testing lab? I can't believe I never notice this, but has anybody figured out what the whiteboards in the animal testing lab, between Z-A and Juggernog say? For some odd reason I didn't take screenshots but images of my screen...doh? All I can make out is "Experiment 935" in the top-left corner. By the way, this went unanswered in my other topic, but has this been found before? 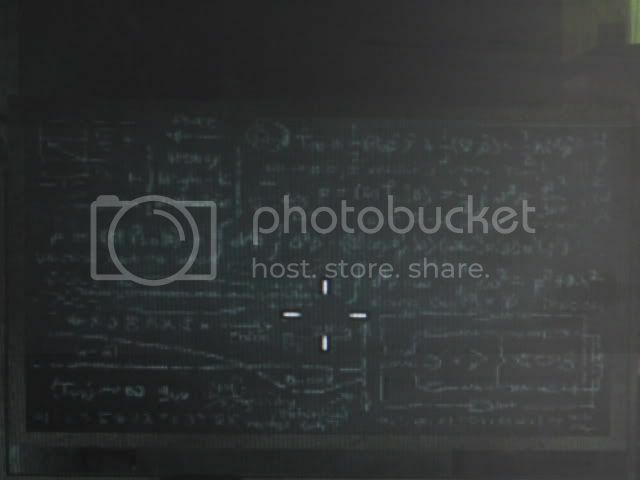 When you start in der riese if you walk down the stairs and go left there should be a vent or whatever on the ground if you go prone and go to the end of it there should be a piece of paper with writing on it but you need the code to decipher it, I haven't deciphered it yet maybe you could? When you hit the start button and you see the map, have you ever notice the little people next to each of the teleporters? strange rope hanging in der riese?? 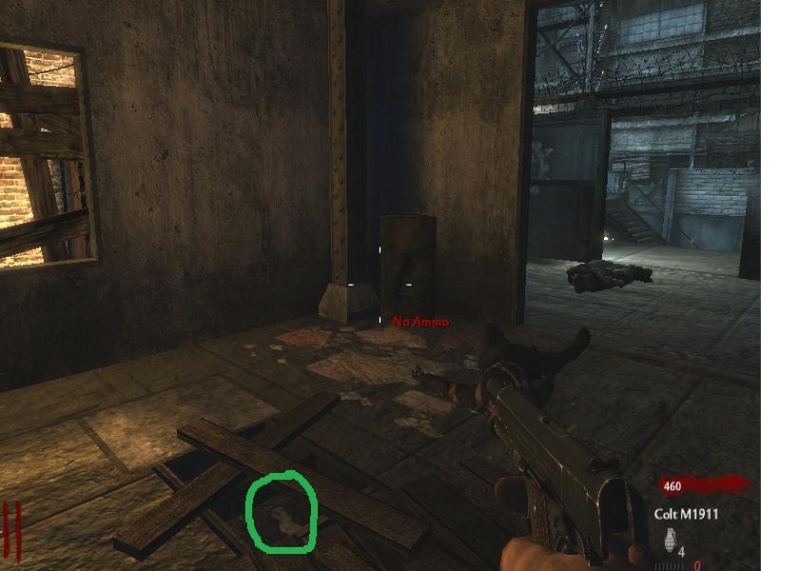 has anybody found the rope hanging in der riese,?? when you shoot at it moves and spins, i just tought it was kind of random.anybody else find it? if so any ideas why its there?? Edward ist lebend. Der Reich muss in Kontakt bleiben. Sophia Kontaktieren den hohen Befehl. Die Verstorbenen steigen. Sind Zeit muss kommen. Gott segnen uns. Treyarch schafft mehr als nur 4. Mond Zyklen ist Schlüssel. Auf Wiedersehen mein Freund. 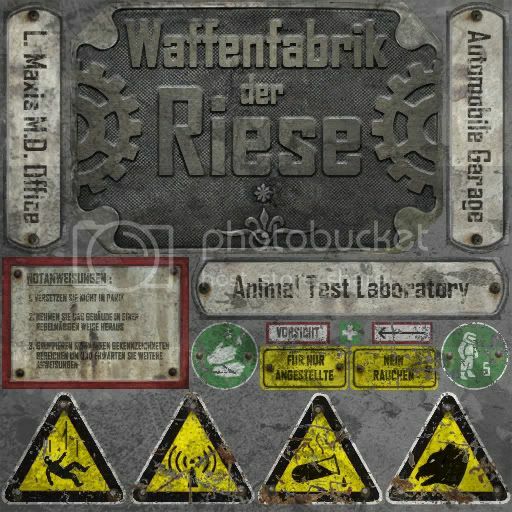 Das erleuchtet ist der Schlüsselgebrauch den es zu entschlüsseln Verruckt und Der Riese Kontrolle aus codzombie.forum0.net. Richtofen muss überleben. Survial ist Schlüssel, die Verstorbenen zu versklaven. Reichstag. Muss. Nicht. Fallen Sie Wiederholung 936 muss bleiben versteckt. OPEN YOUR EYES! 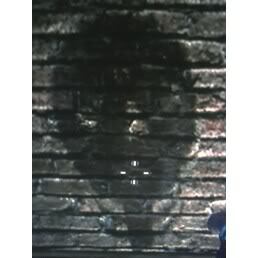 In a slightly deranged game of coop Nazi Zombies, I noticed several startling pictures upon the walls of Der Riese. The pictures are hardly noticeable but are undoubtedly there. 3 varying and repeating pictures are located in the tunnel but that goes under the bridge. (You are facing the bridge from the side that the box is located. It's the hallway to the right. The 3 pictures include a spooky figure of a man, some kind of horned devil thing and alot bigger and creative picture of a Hound! Unfortuneatly, I only have the picture of the figure at the moment. In varying forums, varying peices of information about secret messages are scattered. 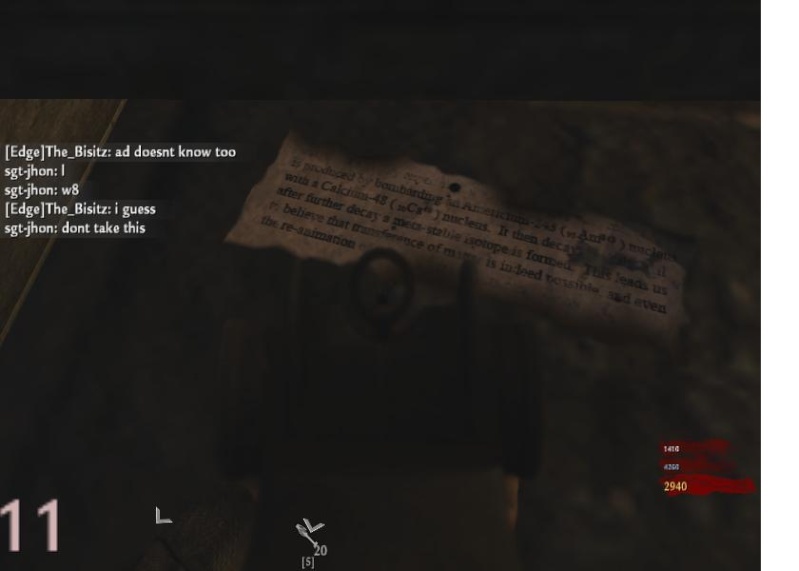 So let's create a list (with pictures) of the Der Riese messages and then translate them. We'll start with the simple ones? Does that look like the head of a bird to anyone? Also on the left it looks like the shape of the bell, or the teleporter. Maybe someone can get a better pic of the other cloud formation. 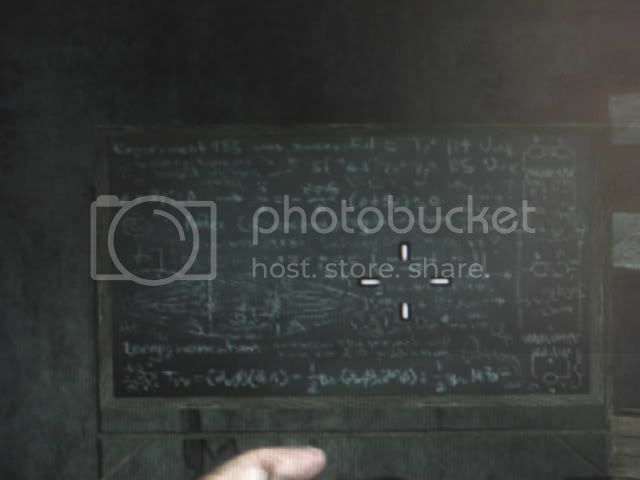 Here is a chalkboard from an xbox premium theme for der riese. Let me know what you notice.. Here is one I noticed. On the right side it shows a map. No one ever wondered what it shows ? Nothing special, in fact. It's just a map of Nazi-Germany. What do you make of these 4 antennas? 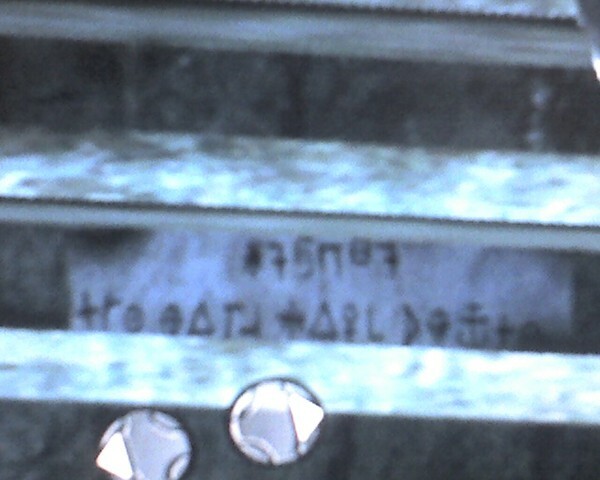 Decoded this says "living dead" and can be found in other levels. When translated this says "Possible position of the Uup?" Uup is the symbol of element 115. 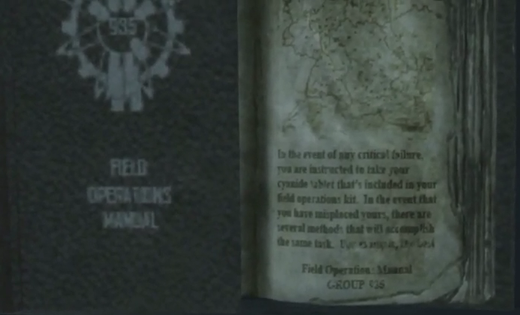 The image is blurry, if someone has a high res image of the map I might be able to figure out the location. So I was looking at Shri's little spiel about the chalkboard circuits and I happen to notice Schwarze Sonne was on there which means Black Sun.. So I did some research just now..and..I realized when I was playing Wolfenstein..they were talking about all this occult that the Nazi Mycologist would use a lot..
Anyways I think it dealt with all this paranormal activities they would try to do ..and..
All the text/images/description below is only my understanding of the easter-eggs at Der Riese. Whether to be believed or not is up to you and the ideas are open for suggestions. Some of the parts have been taken directly from the sources as quotes. All sources and references are mentioned at the bottom of the thread. All links are fonts appearing in red. So I have found this weird shadow at Teleport C and it looks really weird I've look down to see what could of have made this shadow but I don't see anything..
Tonight me friend and I were looking around for stuff and he had the PTRS. I think we found his first name, But I don't know if it matters or not. 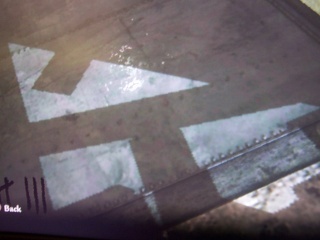 But we found it on a little guide thing..next to the dog paw in teleporter C and on the plaque. It just said Maxis Ludwig M.D. We have a picture and I'll upload it as soon as possible.. I don't know if anyone else has found it..but it seems interesting.. I have one right now but its in crappy quality but I'll post it. We're going to focus on the cyanide tablet for now. I've translated these pictures with the help of Cobra. This means.." Follow the masterplan"
This could be an order from the Illuminati..or just some paper telling Maxis and Richtofen to go on with the plan.. This means "The Glocke(The Bell) is mobile(moving). So this means they were able to move the The Bell somewhere..
Forgot to add this one in..
"Edward its time kill maxis"